Not only is Lake Garda Italy's largest lake, it is also one of the most beautiful and varied regions of the country. While the North is still characterised by the Alps, holiday spots by the south bank offer Mediterranean atmosphere, wide lakeside promenades, and beach feeling. We found the best destinations for gourmets, culture vultures, outdoor freaks, and families. 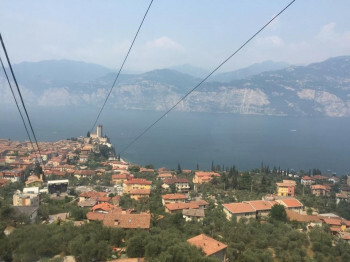 © TouriSpo / D. Eisenrauch View over Lake Garda, Malcesine, and the cable car to Monte Baldo. If your holiday base is on the east side of Lake Garda, don't miss out on Monte Baldo. Crest the top of the 2,218 metre mountain by cable car from Malcesine and enjoy a unique view over the lake and the quaint village of Malcesine. On the summit you can find nice hiking trails, fluffy alpacas, and a mountain restaurant. You can often watch paragliders floating down here. At the west bank, you obtain the best view at Parco Alto Garda Bresciano, between Salò and Limone. The view is particularly stunning from the 400 metres high cliff edges of the village Pieve near Tremosine. At one of the so called „Terrazze di Brivido“ (lit. : terraces of shiver) you can stop and enjoy a nice cup of cappuccino along with an adrenaline-filled view of the lake. © Eric Sander 2014 The Cavazza family's villa lies quaintly inside the park among its beautiful gardens. Isola del Garda, the biggest island on Lake Garda, is located just off the west bank, between Salò and San Felice del Benaco. It is home to a lordly neo-Gothic Venetian villa as well as beautiful gardens with a variety of exotic flowers and plants. The island is privately owned by the count's family Cavazza, who inhabits it too. It can be visited between March and October within a guided tour. Tours often include an ambient classical concert. You can get to the island from various ports around Lake Garda. At Parco Natura Viva in Bussolengo at Lake Garda's east bank you go cheek by jowl with animals from the African savanna. The park consists of two parts. At the safari park, you traverse inside a car, while the animals can move about freely. At the zoo you meet animals from all five continents. Curious giraffes are among the highlights of safari park; they delight in examining people's cars. The zoo is also home to a number of endangered animals, such as snow leopards or Madagascan lemurs. Strada della Forra is one of the best known roads around Lake Garda. It goes all the way up to Pieve. If you venture onto the serpentines with your car, make sure you are able to handle it safely, or else you might be looking at a nerve-racking journey. The narrow Strada della Forra goes through crevices and trenches, formerly carved by mountain torrent Brasa, making it a masterpiece of road planning. 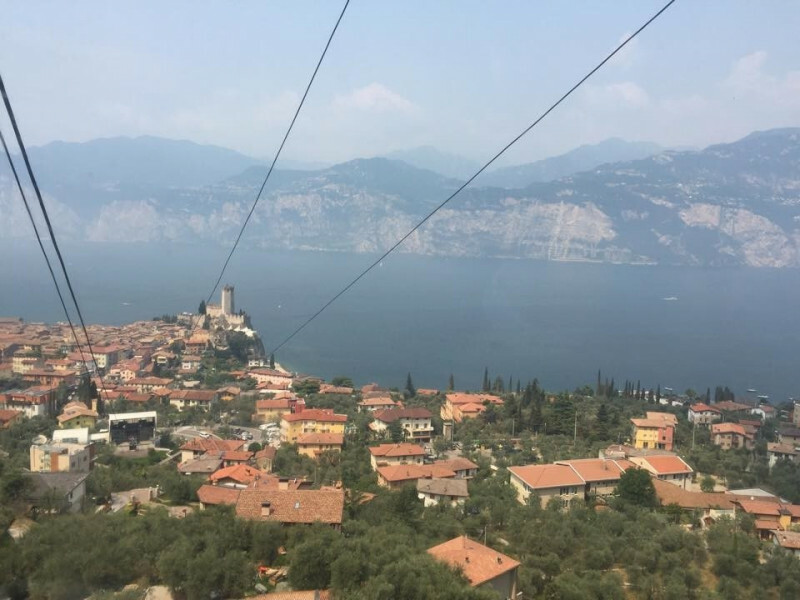 Your adventurous ride will be rewarded with unique views of Lake Garda! 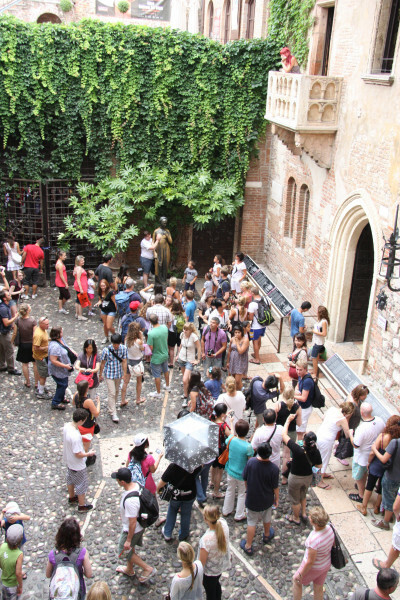 © TouriSpo / A. Poschinger Numerous visitors come to the patio of "Juliet's house" to see the famous balcony and caress Juliet's right breast. 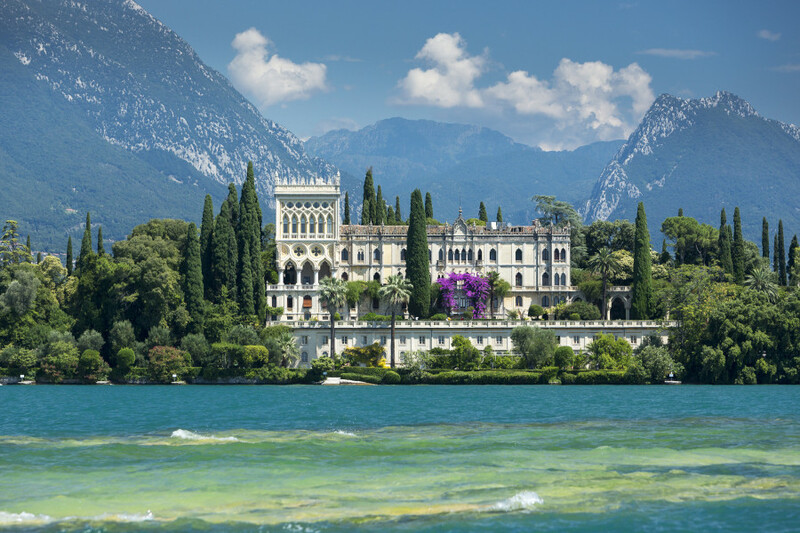 If you're at Lake Garda for the first time, don't forget to visit nearby city Verona. The quaint old town is perfect for a stroll and full of cultural attractions. Not only Shakespeare enthusiasts and lovers find their way to Juliet's house at via Capello 23. The famous balcony can be admired inside the patio. And who cares that it is fake, when you are swooning over love story so tragic? According to tradition, you have to caress Juliet's bronze statue's right breast – it is said to bring luck with love. 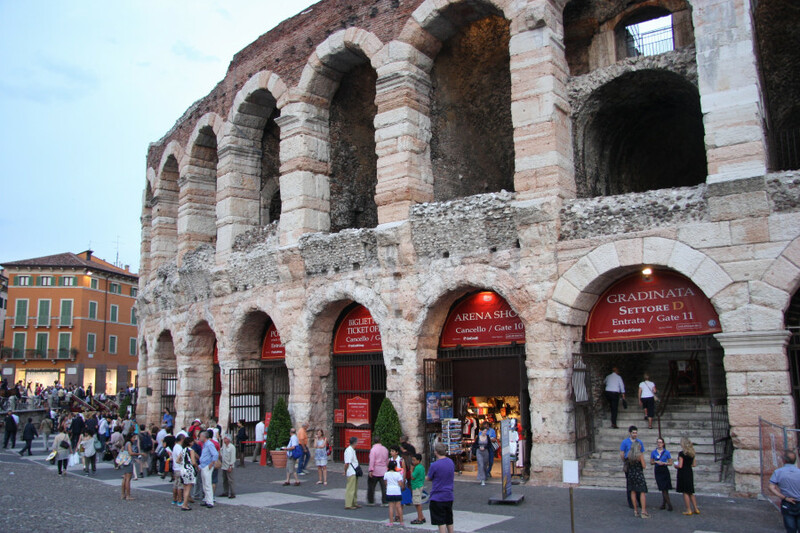 Moreover, Arena of Verona, one of the largest preserved amphitheatres in the world, is located near Piazza Bra. Originally used for sanguinary gladiator fights, thanks to its particular acoustics it is now a famous concert venue. Numerous operas are performed here during the summer. Gardaland, Italy's largest amusement park, is perfect not only for families, but for adrenaline junkies of all ages. Shoot down 40 metres on rollercoaster Space Vertigo; discover the secret world of pirates on a buccaneer; get soaked in one of the white-water rides; or explore Gardaland mascot Prezzemolo's house. Gardaland is also home to a 4D cinema as well as its own theatre, where you can enjoy a number of flamboyant shows with professional singers and dancers every day. Various thematic restaurants and kiosks take care of your culinary needs. CC BY-NC-ND 2.0 © Cassol Claudio Old Ponale Road with a view of Lake Ledro. 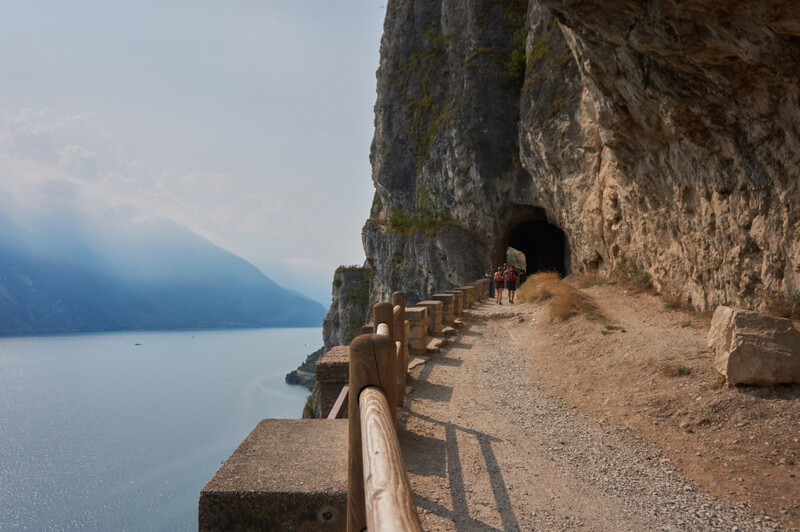 The panoramic walkway on Strada del Ponale is one of the main attractions for hikers and bikers visiting northern Lake Garda. A stretch of 9.5 kilometres connects the town of Riva del Garda with Ledro valley. The path was busted directly into the mountain. Its unique location and structure makes it one of Europe's most beautiful historical panoramic trails. Arriving at the tour's destination, Lake Ledro, you can discover findings of a prehistoric settlement at the local Pile-dwelling Museum. The hike takes approximately 3 hours one way. Busses are available for the way back. CC BY-SA 3.0 © Thilo Parg / Wikimedia Commons One of Europe's most important archaeological excavation sites, Grotta di Fumane, is located near Lake Garda. If you are interested in archaeology, don't miss Grotta di Fumane, located inside a cave at Progni valley, a few kilometres north of Fumane. This is where traces of Neanderthals and Homo sapiens were discovered in 1964. 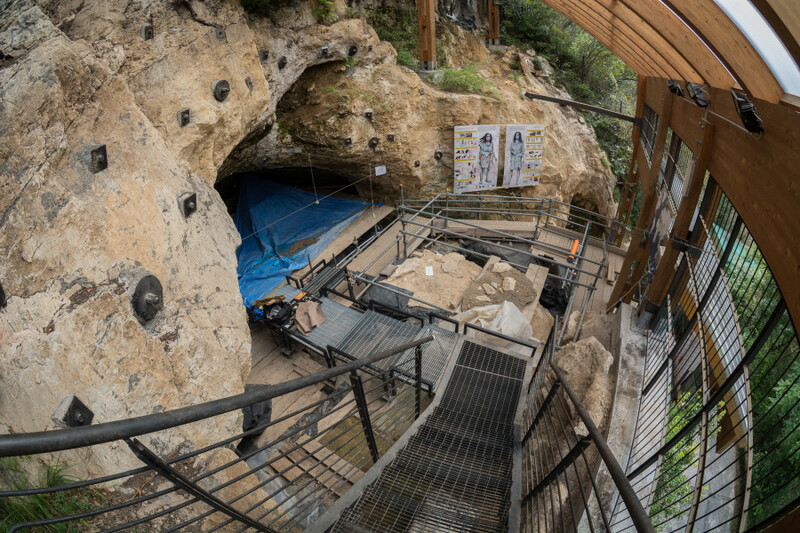 The excavation site is one of the most important prehistoric sites in Europe and includes one of the earliest evidences of the so called Cro-Magnon Man living in Europe 40,000 years ago. You can visit Fumane Cave within an hour-long group tour. 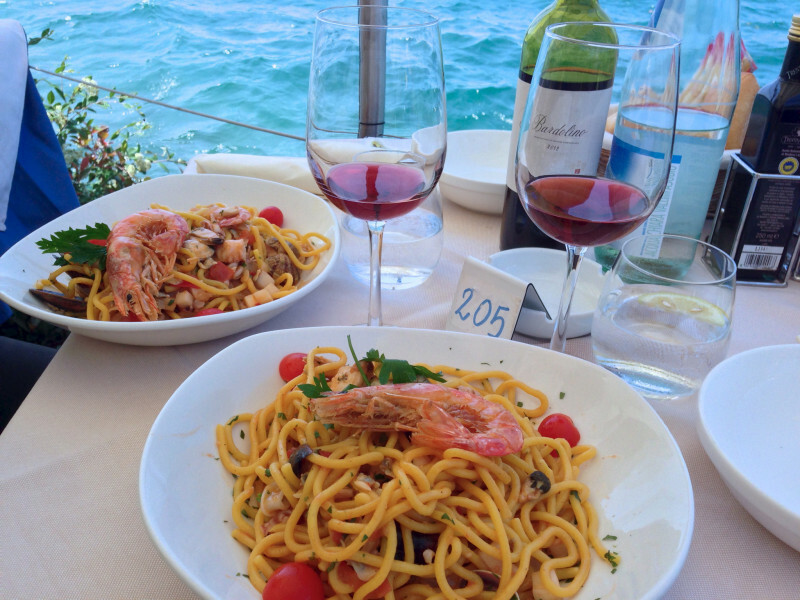 CC BY-NC 2.0 © Darren and Brad Pasta Frutti di Mare and a glass of Bardolino - that's dolce vita at Lake Garda. Bardolino, located at Lake Garda's southeast, is known for its red wine. Its wine-growing district extends from the lakeside up to the hills in the back country. A wine route of over 80 kilometres takes you along the lake from Torre del Benaco to Peschiera del Garda, and along river Adige from Rivoli Veronese to Bussolengo. On the way, you pass by picturesque vineyard and olive oil estates, along with other culinary specialties. Furthermore, the region is famous for its many historic castles, villas, and churches. Bardolino's red wine is mainly made of Corvina Veronese grapes. With its bright ruby colour it has a slightly fruity taste. It is easy to drink and goes well with a number of dishes. Chiaretto, Bardolino's rosé version, is made of the same grapes. It makes a great aperetif as well as a good accompaniment for starters, risotto and pasta dishes.